Greenology Pte. 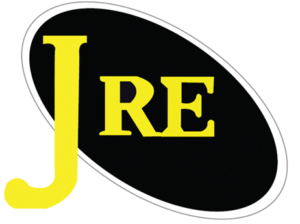 Ltd. was incorporated in 2008 by founder Mr Veera. The company provides sustainable greenery solutions services in Singapore. 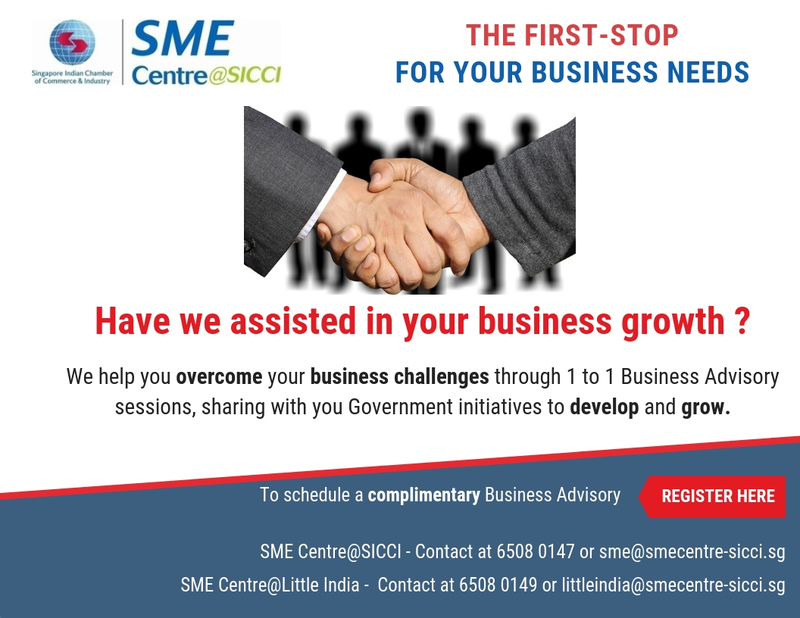 The company had reached out to SME Centre@SICCI and our Business Advisor had met them to discuss their HR capabilities, growth plans which included expanding into international markets. As the company grows and expand overseas, the company decided to look into upgrading their HR capabilities to match their world class technical standard. After working with SME Centre on a business SMART analysis and a HR diagnosis by Enterprise Singapore, the company had identified the areas for improvement. Armed with the new knowledge, the company engaged a HR consultant to improve their HR capabilities. SME Centre @ SICCI’s Ms V Sangari met with Mr Manickam, Managing Director of the company to discuss his interest to globalise. Enterprise Singapore’s role and resources were discussed with Mr Manickam and introductions to partners were made for preparatory understanding of market regulations. This allowed the company to be aware of the demands of the selected market and to embark their journey. They were walked through the Market Readiness Assistance and the company was able to offset supportable costs. SME Centre@SICCI’s Ms Karpagam Jyahraman offered advice to Mr S.V. 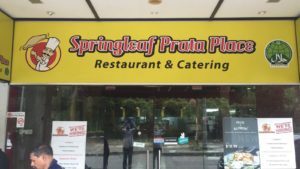 Gunalan, founder of Springleaf Prata Place to purchase automated machines and also to use ICV vouchers to get consultant’s assistance so that they can improve the restaurant’s productivity and processes. An Indian restaurant specialising in South Indian and Indian Muslim food was facing insufficient manpower and weak time management. 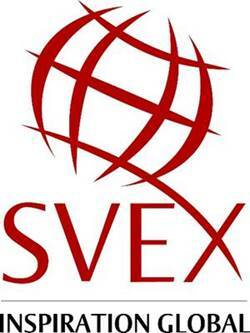 SME Centre conducted a business diagnostic and understood the company’s strength and weakness. Mr S.V. Gunalan was able to automate his processes and as a result, he significantly benefited from them. Mr S.V. 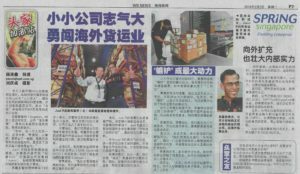 Gunalan was featured in Straits Times, Business Section on August 11, 2015. SME Centre@SICCI’s Ms Kameshwari Jayapragas informed about assistance available through Productivity and Innovation Credit (PIC) scheme which allowed the tuition centre to roll out required new technology to innovate its service proposition. Additionally, the adoption of new technology allowed for slower-learning students to visualise their subject content and have a clearer understanding of the topic. 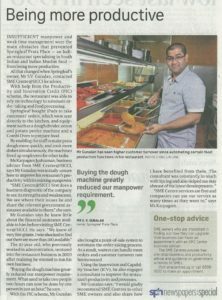 Mr Thayalan was featured in Straits Times, Business Section on August 11, 2015. SME Centre @ SICCI’s Ms V Sangari together with Mr Ishvinder Singh as a team conducted business and productivity diagnostics to realise the preparedness of the company in embarking on their growth strategies. In doing so, it was understood that the company required an understanding of the market that they were planning to enter. They were walked through the Market Readiness Assistance provided by Enterprise Singapore and were able to hire a consultant to study and provide insights into the market, and link up with potential partners in entering the market with a unique service proposition.